Hello there stampers! 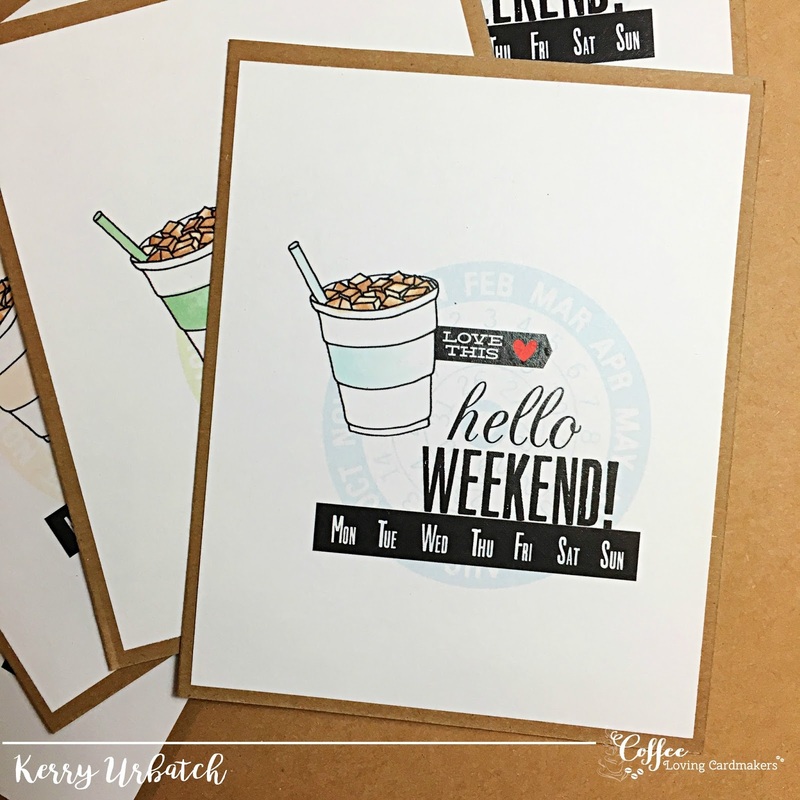 Today I'm hopping along with my fellow Coffee Loving Papercrafters Design Team Members and the A2Z designers as we share fun creations featuring Hero Arts digital stamps and A2Z exclusive digital set called "Hug in a Mug". 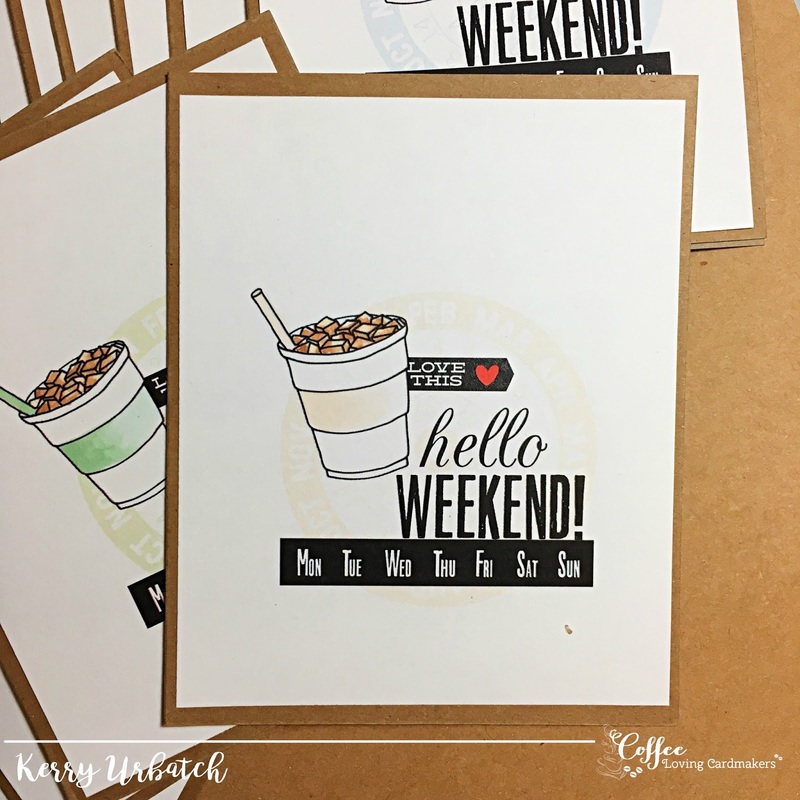 I decided to mix it up a bit and use some non-coffee related images and pair it with a deeelish iced coffee. A2Z Scrapbooking is a licensed online Hero Arts Retailer and also offers a wide array of inky and digi stamp sets and papercrafting products in their ETSY Store. Hop over to their page and check out all they have to offer! 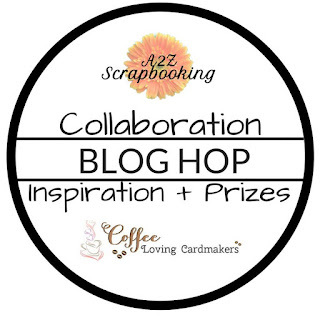 During this hop, they will be offering their Hug In A Mug digi Exclusive and your choice of Digi Stamp set from their shop and one lucky hopper will win a super fabulous digi prize from A2Z! Just make sure to leave a comment at each stop along the way (and complete their Rafflecopter giveaway) for your chance to win the prizes. Commenting will close on Thursday, April 5 at 11:55 PM with winners being announced on Saturday, April. 7th. If you arrived here from Amy's blog, you're hopping along quite nicely. If not, just continue along from here until you make full circle. If you want to start at the beginning, click HERE or please see the blogroll at the bottom of my post. Yes, I'm sharing something quite different than the norm for me. I can say that this collection of cards was created using ONLY digital images! I created the collage on my computer using the awesome graphics from the Notes and Dates digital set from Hero Arts and the Iced Coffee from A2Z's exclusive brand new Hug in a Mug digi set. Can you believe it? I used NO stamps! HA HA. I wanted to create a mix of colors for this collection of cards (I made a set of 24 cards- six of each color) so I used my computer to change the color of the calendar wheel image. After layering the images to suit my liking, I printed them up on white cardstock. 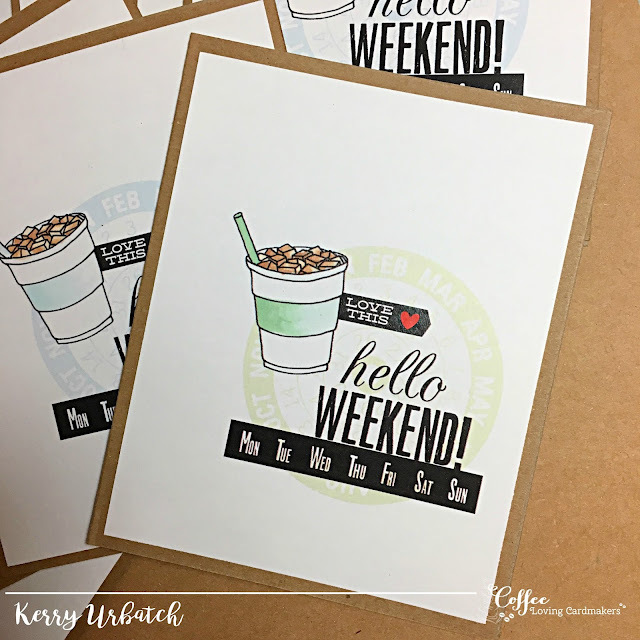 I then cut the images down to card size and mounted them with glue onto some premade kraft card bases I got from the Target Dollar Spot last year. After that, I felt a bit guilty for not stamping. ...so I decided to pull out my Copics and coordinate the color of each mug with the color of the calendar wheel. I also took the opportunity to color that little heart on the banner and added some "coffee" ice to the cup. I created pastel pink, orange, green and blue cards. 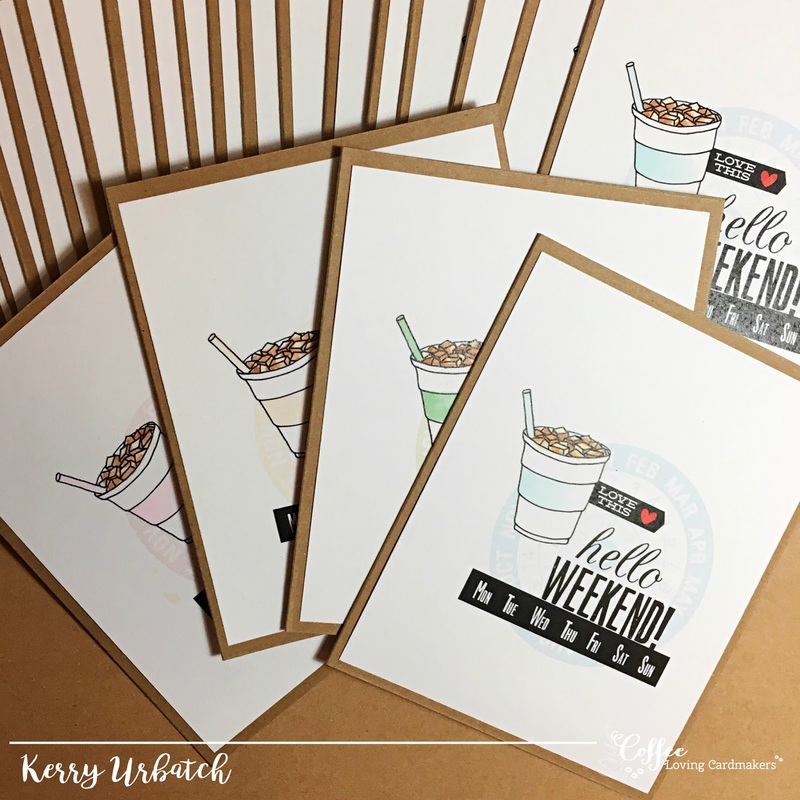 These cards are going to make fun little notes for random hellos! I think I love the blue the most but since I did this digitally, I now have the collage on my computer and can go in and tweak the colors in the future! WOOP WOOP! Wrapping them up all pretty was the finishing touch! This would make a fun little giftie too, right?! Thanks A2Z for this fun collaboration. I enjoyed taking the leap into the digi world again and appreciate the opportunity to play with your new exclusive set! Thanks for hopping along with us! I hope our creations inspire you to have another cuppa joe, get inky and/or digital and play! Please hop over to my DT partner Helen's blog for the next leg of the hop! Kerry, those are amazing cards. 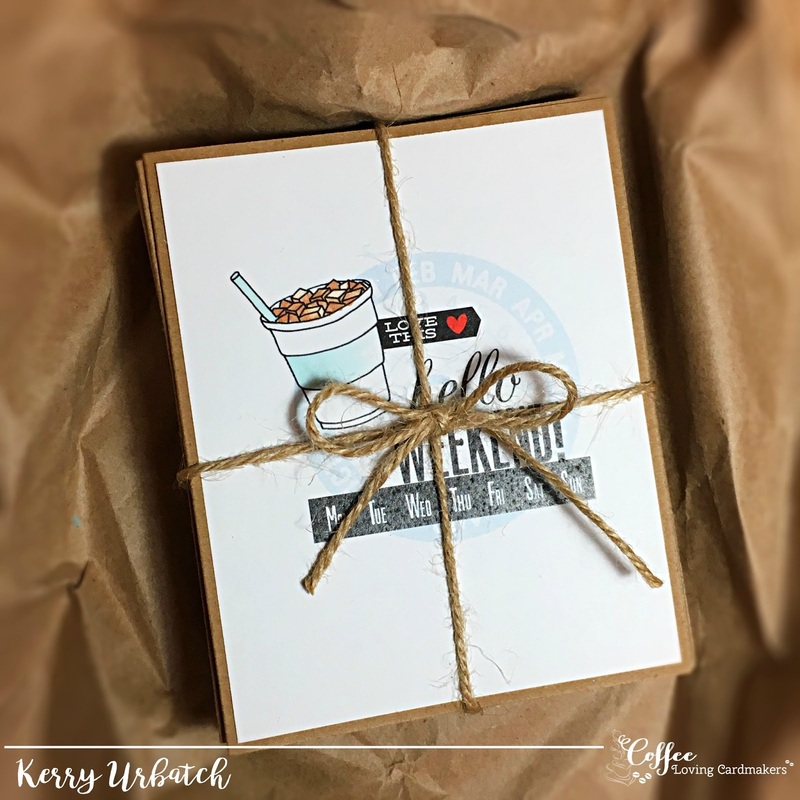 Perfect for coffee themed gift for sure! Kerry what a clever idea! Wonderful CAS design and they must make great gift!! 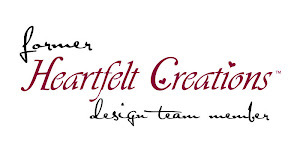 Great designs and really fresh and pretty! What a fun set to use as a gift! TFS! 24 cards? WOW. You were productive and creative. I love the bundle of cards, change of color and glad you couldn't resist coloring because it's the perfect addition. Love them all. So creative. Thanks for all the lovely work and a great hop! 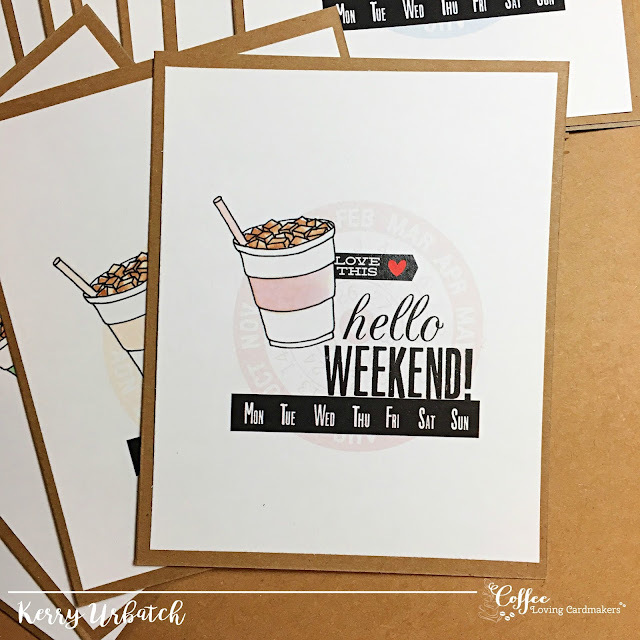 I love the design of you card and how nice to create a whole set! 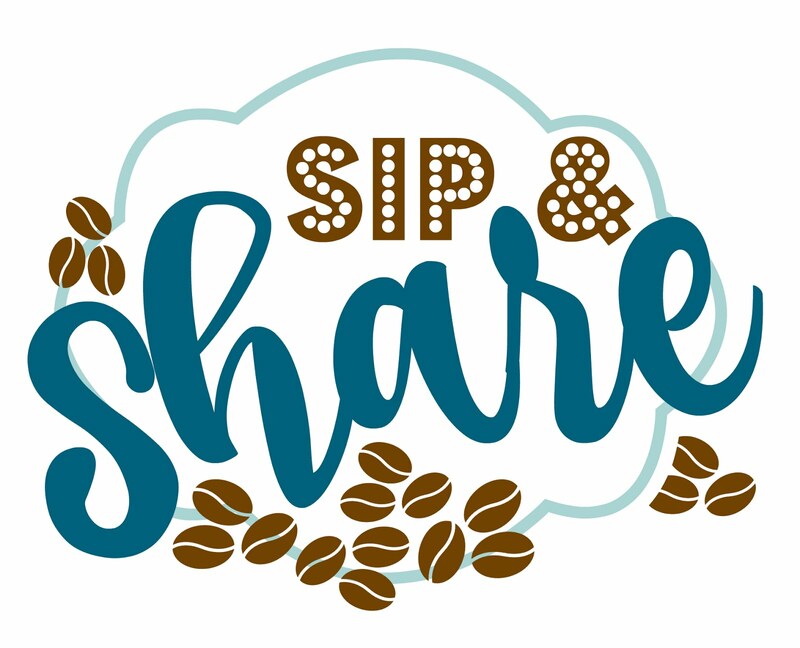 Join Me for Sunday Sip and Share! 3 Copic Coloring: Her Dress! Ready, Set, Sketch! 3 BOO! Retired Stamps for Sale (Various Mfg). Become a Registered Bone Marrow Donor! Background template by Photocowgirl (flikr) all Cards and projects copyright Kerry Urbatch. Awesome Inc. theme. Powered by Blogger.